Las Vegas, the sun never sets and the people are endless. It was time for the annual Bike show, all the new goodies are rolled out for our viewing pleasure. But.. a newsflash has just come in. My training partner Robert just finished the 70.3 in Augusta, 5:46 for a new PR. 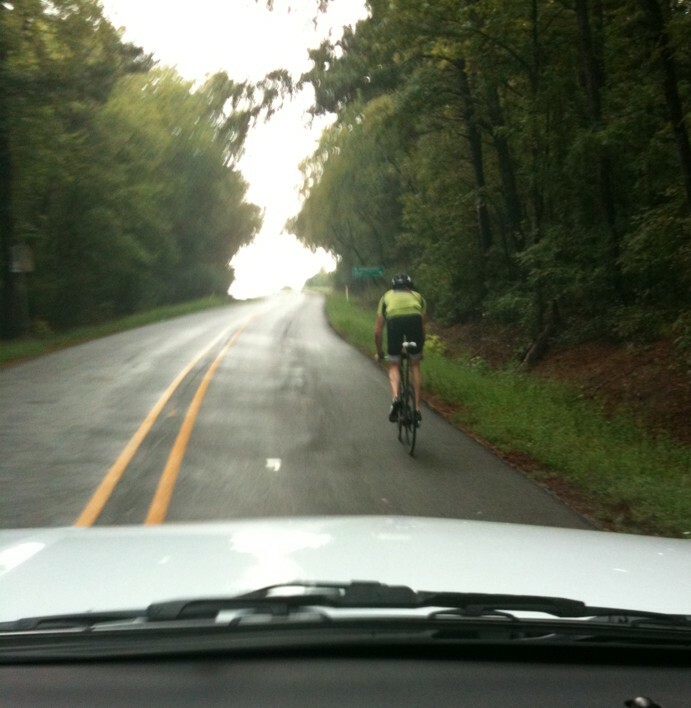 I new he would do well, last week during a storm, he rode 60, doing hill repeats, I followed in the car as my shoulder was not working. 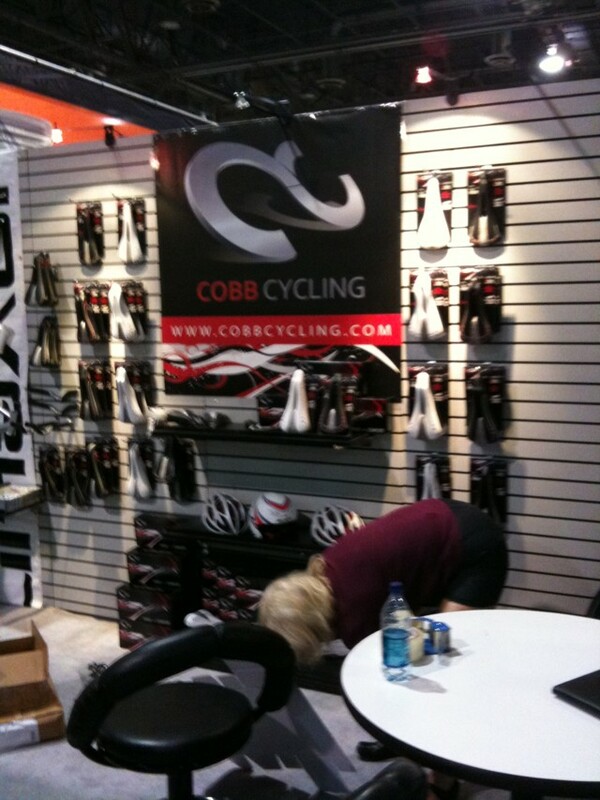 Back to that Interbike, we arrived on Tuesday and set up our booth, it ended up pretty nice looking and we had a great location in the show. We had many, many of our dealers come by, it was great to put a face with the voices. On Thursday, I was at the Wilier booth where they unvieled the new Imperial aero road bike to the public, it was fun to watch the reactions to the frame. 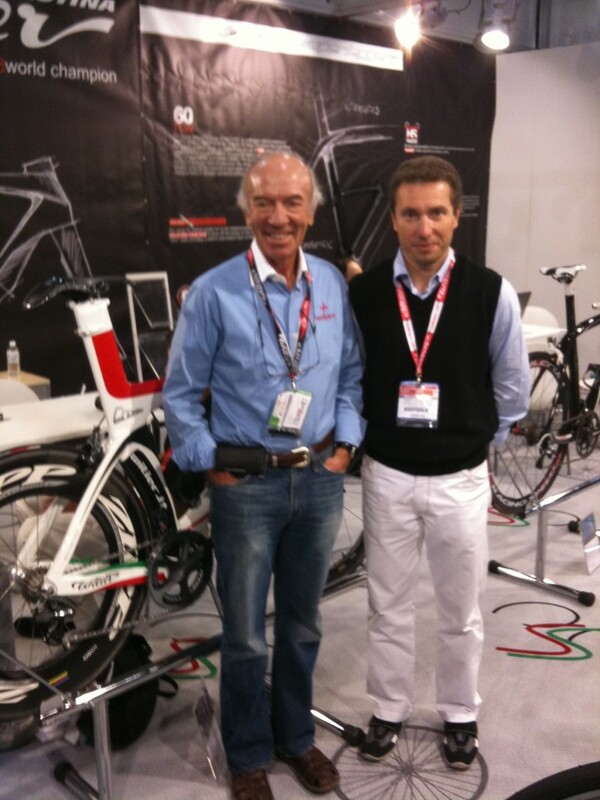 Angelo and Andrea of Wilier were there and were very excitied. Lot’s of new toy’s in that booth. At Interbike, you seemingly wander the isles looking for cool new widgets, you have to look carefully because there is a lot there and it’s easy to overlook some interesting things. It can take a toll on you though, my shoulder finally gave out and I was down… Ruud who had come to the show with Mark Miller is a PT and he worked on me to get me going, a huge help. My new HC170 saddle seemed to be a big hit, people liked the light weight and the narrowness of the seat. I’m going to do a 30 mile ride on it Monday morning, should be a real test of my sitting ability. We talked and visited for seemingly hours, it was good. In the lobby of the hotel, they were getting ready for the Fall season. 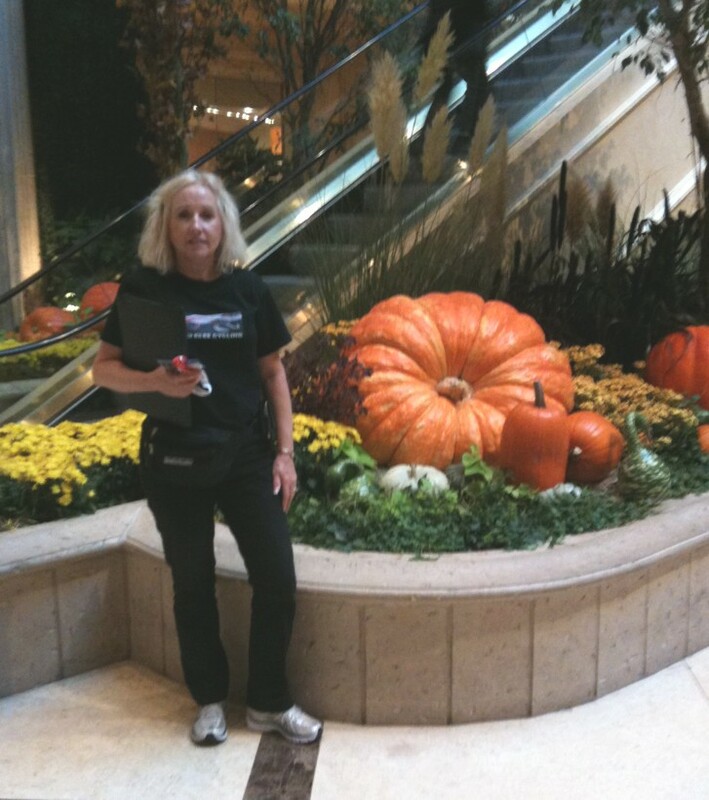 They had put these huge pumpkins all around the hall ways, it was very pretty to some tired eyes. This week, it’s back to training as best I can, I’m working on rebuilding my shoulder strength at Pilates, I’m taking a short break from swimming right now. ~ by johncobbresearch on September 27, 2009.